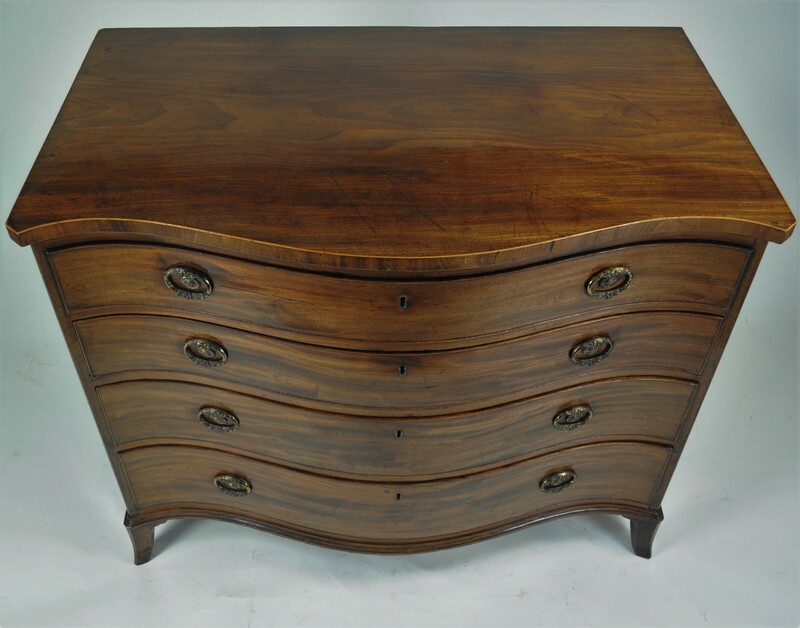 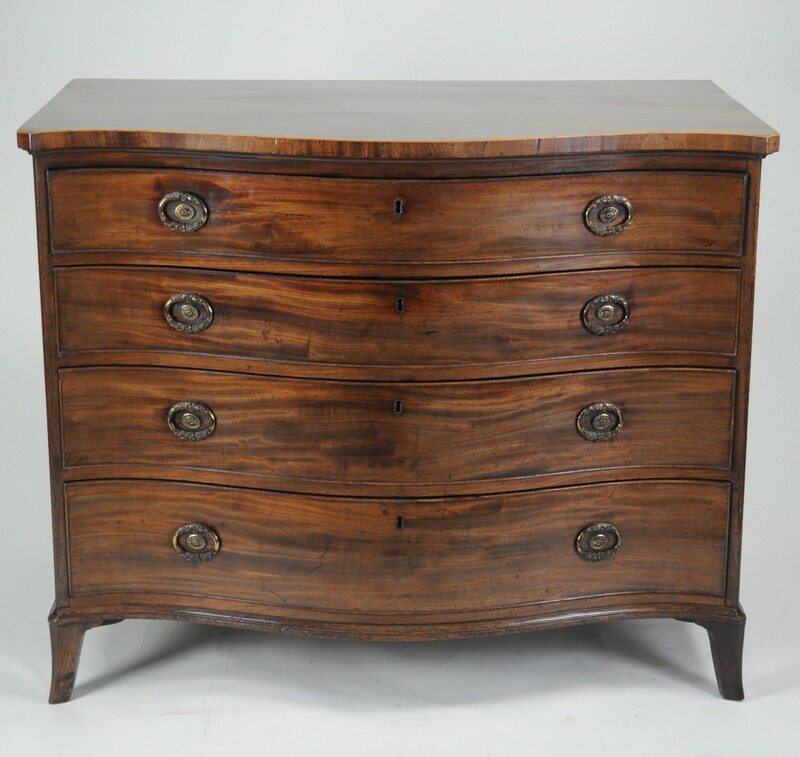 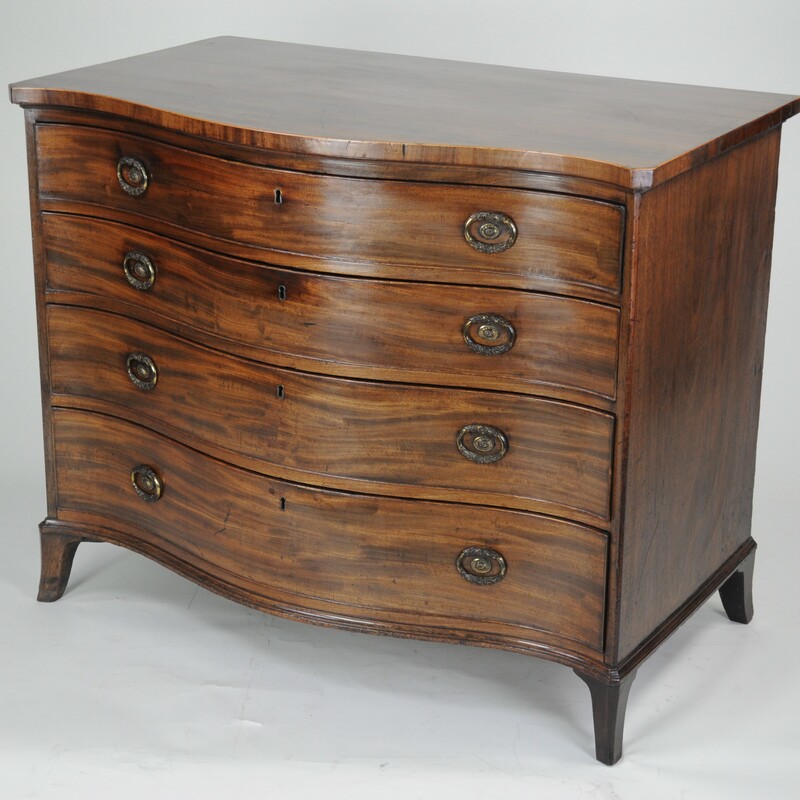 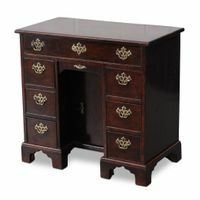 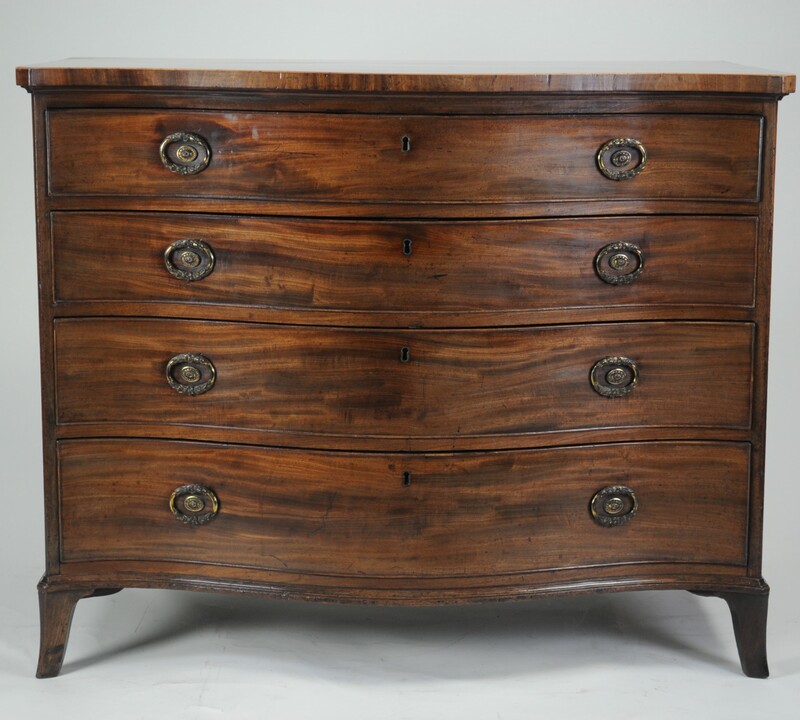 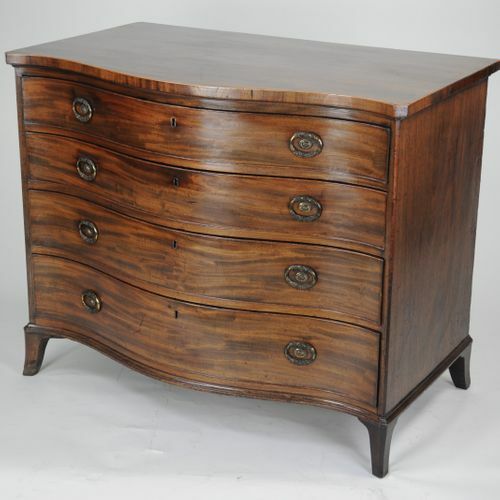 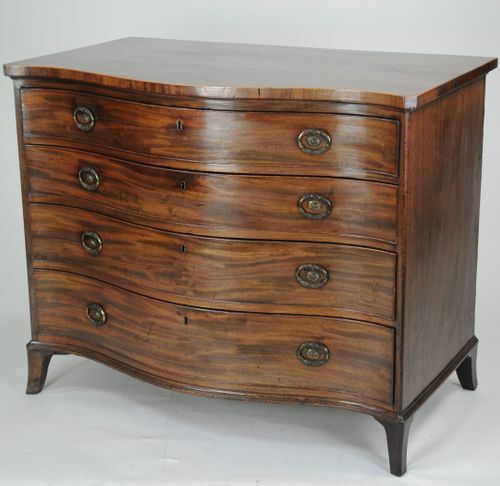 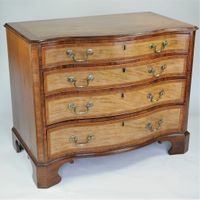 "Serpentine Mahogany Chest of Drawers attributed to Gillows"
A good Chippendale period mahogany serpentine chest of drawers of excellent colour and patina. 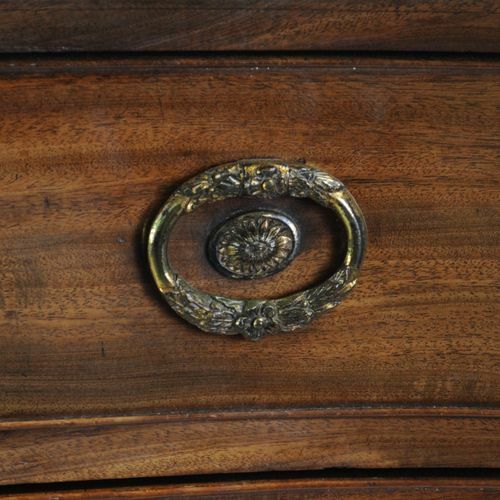 The moulded edge top above four long drawers fitted with the original fire-gilded handles with centre boss and moulded decoration, so often favoured by Gillows. 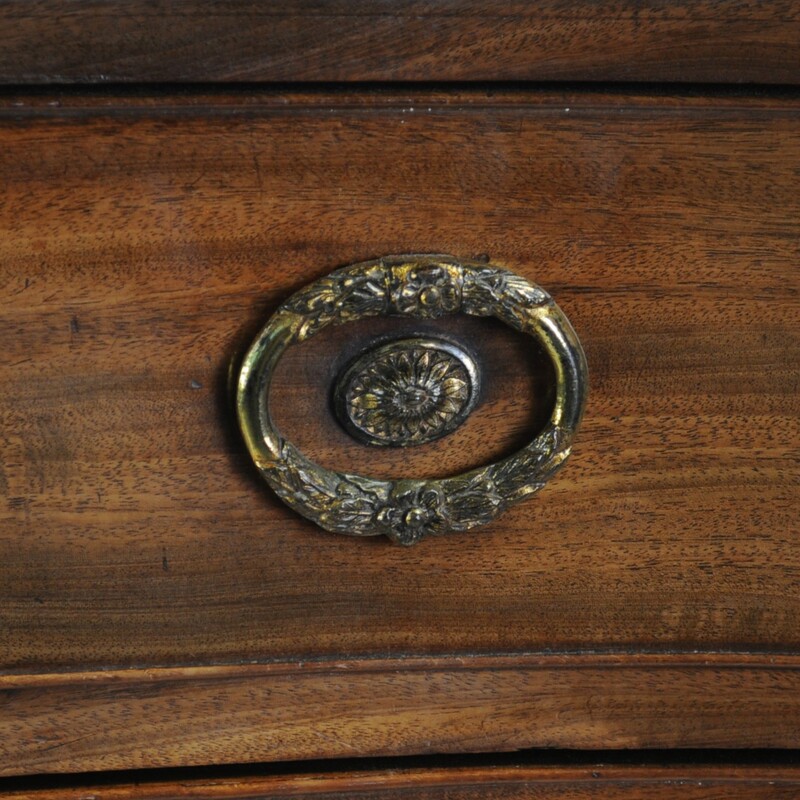 Standing on slender shaped bracket feet with moulded edge apron.